Scale, Teamwork, and the ability to navigate complexity. That's Revolutionary Clinics - Working together in Massachusetts to create a healthy and vibrant cannabis industry. Make your dream of operating your own dispensary become a reality. For a free tour of our state-of-the art cultivation facility and information on how to work with Revolutionary Clinics, contact us. Any Revolution requires innovative thinking. It takes scale, teamwork, and the ability to navigate complexity in a quick and productive manner. At Revolutionary Clinics, we believe in working together in Massachusetts to create a healthy and vibrant cannabis industry. Our story began in 2014 with a mission to grow the highest quality product in a controlled environment conducive to data collection and consistency. And what better place than an old shoe factory in Fitchburg, Massachusetts that used to craft the highest quality products for the likes of Cole Haan and L.L. Bean shoes. It is here where we grow our products, and grow our company — by the spring of 2019, Revolutionary Farms will have activated 140,000 square feet of our 250,000 square foot campus. The more we grow, the more retail locations we need to make sure our great products would be accessible to as many patients and recreational users as possible. Today, we have been awarded three dispensary locations : East Somerville; Fresh Pond Parkway, Cambridge; and Central Square, Cambridge. Somerville opened November, 2017, Fresh Pond in September of 2018 and Central Square, our 6,500 square foot super-store will open in the Spring of 2019. Of course, great cannabis products require a great team with a wide range of specialties. To run the best operation, the Revolutionary Clinics team includes in-house real estate, financial, construction, marketing and retail experts. And to grow the best cannabis, we have a team of growers that include botany, horticulture and genetic experts. In and outside the cannabis industry, our team has raised and deployed hundreds of millions of dollars, always with an aim to use investment capital to help change the world. Revolutionary Clinics represents the ultimate combination of skills, united in one team, to ensure reliable and ample product for both the Medical and Adult Use markets. And we are constantly innovating and growing in order to provide you with everything you need to expand your enterprise. Make your dream of operating your own dispensary become a reality. 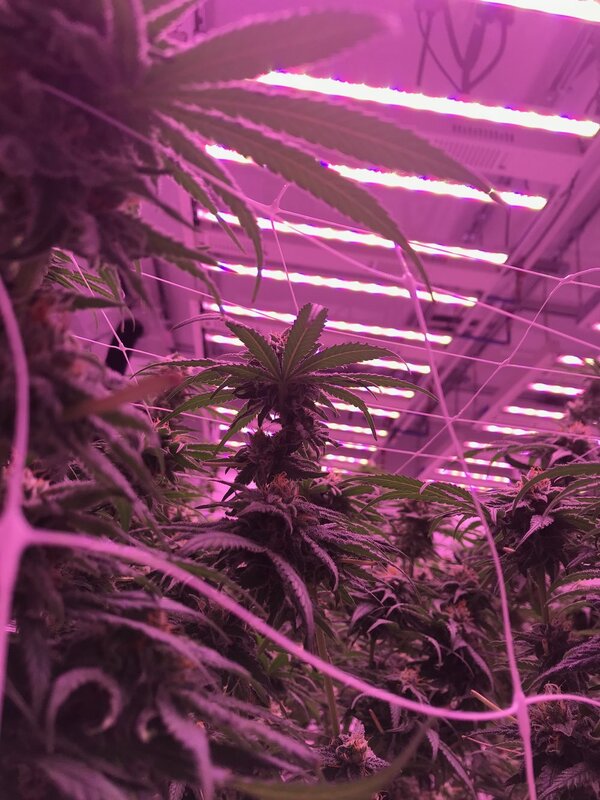 For a free tour of our state-of-the art cultivation facility and information on how to work with Revolutionary Clinics, contact us. With your passion, and our real estate, capital, and product, we know that it won’t just be cannabis we’ll be growing.